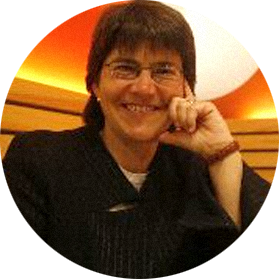 Beatriz Plaza is Professor in Urban and Regional Economics in the University of the Basque Country (UPV/EHU). Her research interests include: Economic Studies of Economic Impact of Cultural Events and Infrastructures; Economic Impact of Museums; Regional Policy; Measurement and Economic Analysis of Regional Economics; Cultural Policy as Development Policy. She has published papers in International Journal of Urban and Regional Research, Journal of Cultural Heritage, Tourism Management, Annals of Tourism Research, International Journal of Arts Management, European Planning Studies, Urban Affairs Review, Tourism Economics, Proceedings of the ICE-Municipal Engineer, Aslib Proceedings, or Online. She has also coordinated international and national research projects on the Economic Impact of Cultural Events and Infrastructures. Her recent presentations include AKADEMIE DER KÜNSTE-BERLIN [Academy of Art-Berlin] (2012) Kultur als Zweck oder Mittel. (31.10.2012) or STERN BUSINESS SCHOOL- NEW YORK UNIVERSITY (2009) Architecture & Urban Development as Engines for Economic Growth Panel. Barcelona: Stern’s 2009 Global Alumni Conference, June 11-13, 2009.